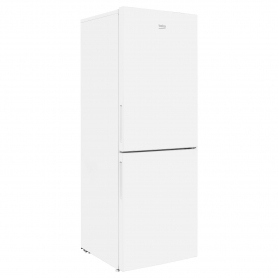 If you’re looking for a spacious fridge freezer with lots of great features, the CCFH1675W is the model for you. With an exclusive handle design and clean white finish, it will fit in with any home décor scheme. As a combi appliance, the CCFH1675W can help save floor space in your kitchen. The fridge compartment is on top, giving you easy access to your fresh food, without having to bend down. The doors on this appliance are reversible, so you can choose whether you want it to be left or right hand opening. There’s also antibacterial door seals, which are designed to prevent bacteria forming and getting into the fridge. The handy open door alarm will sound if the fridge door is left ajar, so you can prevent your food from spoiling. 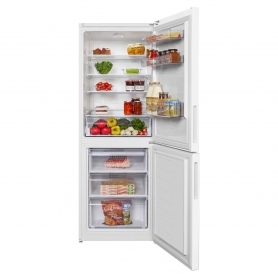 The fridge has a 209 L net capacity, so there’s plenty of storage space to stock up on your favourite chilled food. With four glass shelves and a salad bin, the CCFH1675W offers flexibility to organise your food just the way you like it. There’s also an LED light inside the fridge, which is brighter and more durable than a standard bulb. 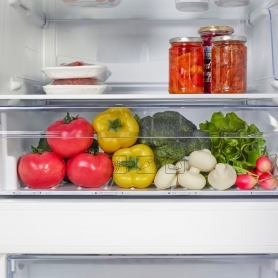 This allows you to see the food you have stored easily, without having to rummage around. The freezer section is completely frost free, so you’ll never have to worry about ice taking up precious storage space again. 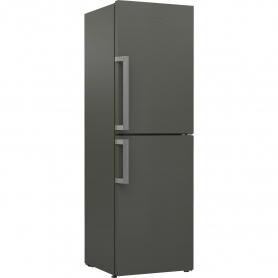 In terms of storage, this model has a 97 L net capacity, which consists of three clear drawers inside the freezer. 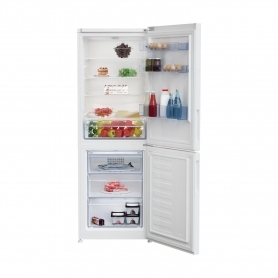 Store everything from leftovers to vegetables and still have room to spare with the CCFH1675W. There’s even a handy ice bank tray, so you can always have ice cubes on standby for a cold beverage. This appliance can store your food for up to 18 hours in the event of a power failure, giving you one less thing to worry about. Its four star rating means you can safely store food inside your freezer for up to a year. Thanks to Beko’s Freezer Guard Technology, you can place your fridge freezer anywhere at home, from your garage to utility room. Your food will remain frozen even if temperatures drop to as low as -15°C. With the A+ energy rating, you can save money on your energy bills as well as doing your bit for the planet. 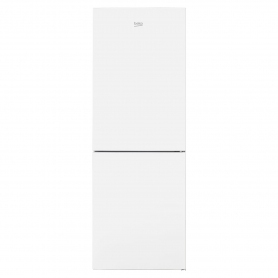 Purchase your Beko CCFH1675W fridge freezer today.